As many of you will probably know I have long hair which I love and although the drying, washing and straightening does require effort I would not have it any other way. A lot of you may also know that my five year old also has beautiful long hair, this requires a lot more effort! Finding the time to wash her hair so we have enough time to dry and not to mention the detangling! All whilst asking her nicely to sit still at least 15 times followed by her getting upset that mummy told her off (because she wouldn’t sit still!) Does this sound familiar? I feel like my whole life the most common argument between mothers and daughters, starting from me and my own mum, is the ‘stay STILL’ whilst doing their hair. When it comes to my own hair, I am a complete product junkie! 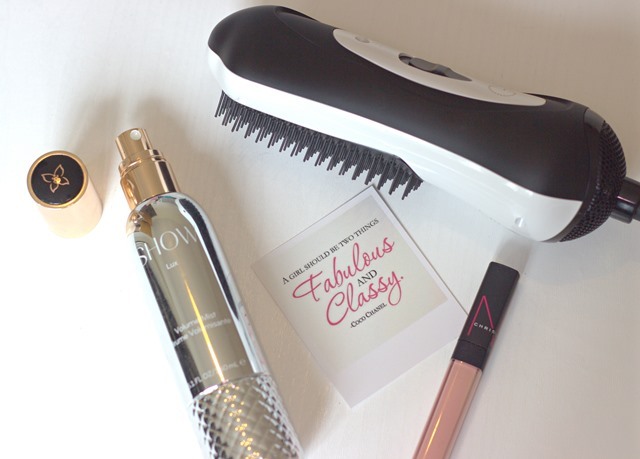 Hairspray, heat protector, smoothing serum, volumising mousse, you name it. However for Baby A it is simply shampoo and conditioner. I always prefer to let her hair dry naturally as I do not like the idea of heat from the hair dryer directly on her head for such long periods of time and the cool setting make the whole session even longer! Obviously living in the UK, it is not very often you can let hair stay wet for too long without catching a cold! 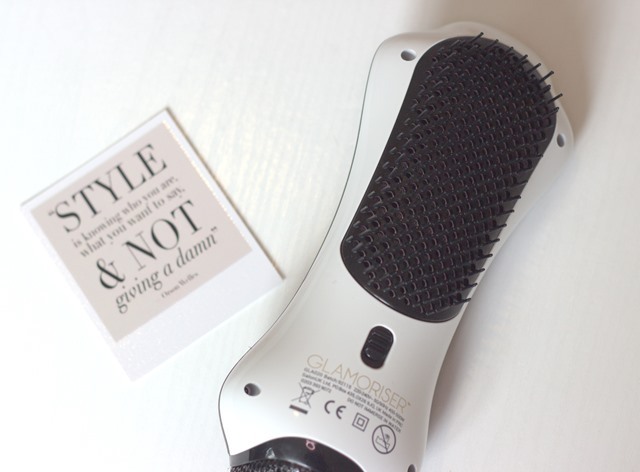 The Glamoriser allows you to detangle and dry your hair at the same time, saving you hours of arguments with your child! It just makes the whole styling experience quicker and easier. Baby A actually asks to have her hair washed as she loves me using the Glamoriser on her hair, the bristles are soft and her hair is smooth and shiny without the fuss. The soft bristles are infused with Black Diamond Oil giving smooth results quickly. I have used this on my own hair and it is great, however as I think my hair is used to the hot blast of a hair dryer it does take a little longer than usual. It is great to travel with as it is so compact and in the heat of summer I would much rather use the Glamoriser than other heated appliances. On my hair I also like to use the Glamoriser on my secnd day hair to smooth out any kinks and keep my hair looking fresh. The reason I use it for Baby A is because it uses less heat from using infrared technology. If you have fine hair, this would be perfect for you but my hair is quite thick so I have to dry in sections.